Available Styles: Standard BTE with two sizes available with size 13 and 675 batteries. 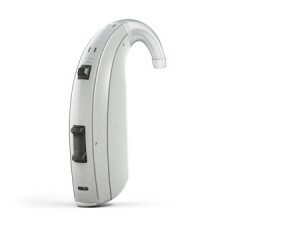 RESOUND ENZO 3D – 9 – THE MOST POWERFUL AND HIGHEST SOUND QUALITY SUPER POWER HEARING AID. The Resound Enzo 3D- 9 is the latest edition of Resound’s top of the line super power hearing aid. This robust device is designed to take all of life’s bumps and incidents and is rated with excellent moisture and dust resistance. All Enzo 3D models are available in a Behind-the-Ear models only and offer excellent for sound quality and high tech features. All Resound Enzo 3D models come in three technology levels designated with a 9, 7 and 5 nomenclature. 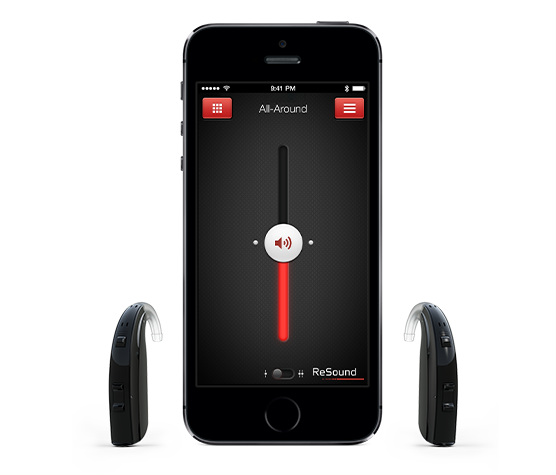 All Resound 3D models use a direct-to-iPhone interface using the iPhone Bluetooth-Low-Energy protocol available on Apple’s iPhone 5 or later. However using the Resound Unite accessory called the Phone Clip+ would allow a person who did not have an iPhone to connect to the hearing aid via Bluetooth. Resound has a Unite TV and remote microphone as well as a remote control accessory as well. The physical size of both styles are large, yet the overall hearing aid is not terribly bulky on the ears. Clients with dead high-frequency regions in the cochlea can benefit from the Enzo frequency-lowering capability. Frequency-lowering, in cases of severe to profound hearing losses, is a critical component of extending the listeners ability to functionally hear high-pitch sounds. To try a set of these hearing aids, call 416-463-4327 today to book an appointment for a hearing test and demonstration.